In case you hadn’t noticed, the Olympic Games are nearly upon us. In newspapers, magazines and other media outlets we are being reminded daily of their approach and the hype will increase until the Games and the Paralympics are finally over. Everywhere you look, from petrol stations to school halls, is evidence of the 2012 London Olympics. Different Christians take very different attitudes to the Olympics. Some embrace the whole package whole-heartedly. For others the Olympic Games are pagan and should be completely avoided. Some argue the Games are a waste of money which can be ill afforded in our current financial climate. Christians all over the UK are using the Games as an opportunity for evangelism – either directly, with teams organised to speak to the many thousands of visitors expected in London from all over the world. 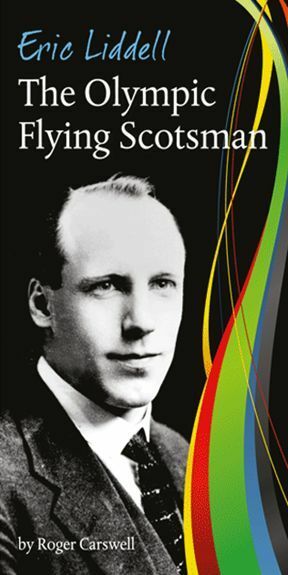 Or indirectly – running Olympic-themed holiday bible clubs or handing out tracts based on the story of Eric Liddell. With all these different attitudes about, how should we as Christians react to the Olympic Games? Some people don’t like or enjoy sport. That’s a legitimate way to feel – if that’s you, then turn off your radio for a couple of weeks and ignore the Games. But whether we enjoy sport or not, we need to recognise that there is something fundamentally good about someone running as fast as they can, putting all their strength and effort into throwing a javelin as far as it will go, about shooting an arrow straight and true, about whole-hearted commitment to a team. God always does everything perfectly with all his heart and when any human being gives themselves wholeheartedly to any activity they are being God-like, whether they know it or not. It is God who created the human body with its ability to run and jump and throw – when we use those abilities we are using our bodies as God intended. Paul thought that athletics were a suitable picture of the efforts of the Christian life – that’s because there is something good about them. And the same is true of the achievement of organising a huge event that runs smoothly and to time. It is a credit to the organisers that all the venues were completed to plan ahead of schedule. That is an amazing and praiseworthy achievement – again there is something God-like in creating a complex event which works exactly as planned. In that sense we do have something to be proud of as a nation. – Firstly, it is plain that for the vast majority of participants, the Olympics are taking place without any reference to God whatsoever. The motivations of the athletes and spectators are ambition, pride, pleasure, the desire for success and glory. Ultimately, people are being driven by selfishness. These things have become the idols worshipped by men instead of giving true worship to the living God. And of course there is no thought of stopping any events on Sundays to draw near to God – the Games continue seven days a week. – Plainly too, many people are taking advantage of the Olympics simply to line their own pockets. From the big corporate sponsors to the hoteliers whose prices have suddenly shot up for the summer, the Games are being used by greedy people for their own ends. – We need to recognise too the huge disappointment that the event will be for so many. Even now, athletes’ lives are being shattered by not being selected for the Games after all their years of training. Others will be disqualified by rising a split-second early from the blocks. Someone else will come fourth in their event by a single point. For all the hype, for many the Games will actually be a massive let-down. – Then there is the ever-present threat of cheating and corruption. Large-scale drugs testing has to be carried out to dissuade competitors from risking their life and health by taking stimulants, so important has winning become to them. We are hearing the stories of Olympic officials who have sold off tickets at a profit and pocketed the cash. – In addition, the Olympics have become a focus for international politics and national prestige. In the Communist era, the USA and USSR boycotted the Games held in the other’s country. East German athletes were systematically doped to ‘prove’ the superiority of Marxist regimes. Today, Chinese children are forced from a young age into programs of many hours training every day to develop medal hopes for future Olympics – because number of medals translates into perceived world importance. – Finally, there are points where you simply have to say that some of these events are directly dishonouring to God. I cannot see anything positive about two women punching each other – yet women’s boxing is included in this year’s Games for the first time. It’s obvious that ‘beach volleyball’ would never have been included in the Olympics if the competitors wore more than beach shorts and bikinis, however skilled the competitors might be. 3) With all these negatives then, it is possible for Christians to have any interest or involvement in the Olympics? To think about that question we first need to note that what we’ve said about the Olympics is also true about almost any human activity. Wherever men are involved: from running supermarkets to celebrating Christmas, from governing countries to watching school plays. In all these areas you find human beings living without reference to God, motivated by greed and selfishness, cheating and posturing, taking advantage of other people. If we are to live in this world at all as believers, we have to live with and among people who will use any and every activity wickedly, however good it is in itself. Like Daniel in Babylon, or the church in Corinth we have to be part of the world without becoming like the world. The problem is not the Olympics per se but the human beings who take part in them. However, there is a big difference between shopping and the Olympics. I need to buy food and live under the laws of this country – these are areas I cannot choose to withdraw from. However, participation in the Olympics isn’t a necessity – it’s an option. So what are the possible choices for a Christian? The one option we don’t have is unthinking acceptance of everything Olympian. I cannot choose to ignore the Lord’s Day to watch my favourite event. I cannot tune in to the beach volleyball whilst guarding my eyes from lust. The Olympics cannot be treated as a holiday from our walk with Christ. – Some Christians will choose no involvement at all. For them the problems and corruptions are too much. Or they know that for them personally the Games would simply be too big a distraction from the things they ought to be doing. That is a valid choice to make – for some believers the only right choice to make. But if that is the choice you make, don’t assume that all other Christians should be following your example and are sinning if they do something different. – Another option would be to decide to use the Games only as an opportunity for evangelism and starting spiritual conversations with people. Again, that’s a valid thing to so – we should all be looking to take advantage of opportunities to talk about Christ whenever they present themselves. So let’s all take some time to think of ways we can use the Olympics to start such conversations. But be realistic – someone who is emotionally taken up in the excitement of an event is not likely to be ready for serious spiritual conversation. – A final option is to enjoy what is good and admirable about the Olympic events without getting carried away and accepting everything. We can admire the skill of a sailor in rough seas or be thrilled by the sight of a runner in full flow. Even if that sailor cares nothing for the Lord who controls the wind and waves, we do. We can still praise the Creator of human bodies which can achieve such feats. But if this is our choice we need to be careful about how much time and emotion we are going to invest into the Olympics. All of us need to sit down before God and decide how we and our families are going to approach not just the Olympics but all similar events. From the Queen’s Jubilee to watching professional sport to what we view on television – we have many such choices. 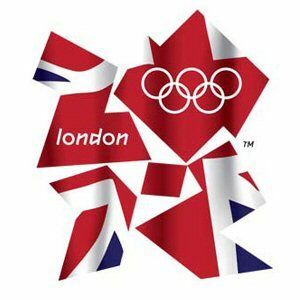 Many of us have children or grand-children who are seeing and hearing the Olympics all around them. What is going to best help them? Ignoring what’s happening? Forbidding participation? Judiciously selecting what you watch together and talking through some of the problems? We all need to think wisely and make our decisions – and not be surprised or critical if other believers make different choices. 4) Most important of all, we must not be distracted from our great priorities. Huge events like the Jubilee or the Olympics can easily become a distraction from the things God has given us to do. Walking with Christ, caring for the church, seeking God’s kingdom, reading and meditating on the Bible, looking after people in trouble, caring for our families, working whole-heartedly at our jobs. If you find that keeping up with the medal tallies is preventing you from these things then it’s definitely time to switch off the computer and retune the radio. 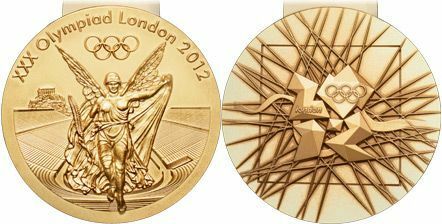 In the end it doesn’t matter whether or not I know who wins the 100m at the 2012 London Olympics but it does matter that on that day I loved God and sought his kingdom. Only choose to get involved with the Olympics if you can be sure it won’t stop you doing the things you should be doing. Whether you watch or not, the Olympics should make us long for one thing: for the new heavens and earth when all who have been saved through Christ will have wonderful and glorious bodies full of life and vitality to be used for God’s glory. Then, the whole earth will be filled with the glory of God and everything will be done whole-heartedly for him without fear of sinning and distraction. If an event here on this sinful earth now can be thrilling and exciting and glorious, how much more exciting and awesome will be the events God is planning even now for the world to come! Will there be games or sports and competition in that world? I don’t know – but I know that we will be using our bodies and minds and skills to their utmost to achieve wonderful things for God. And that we will be as delighted to see the achievements of others as with the things we achieve ourselves. That we’ll be working together in the most effective and unified team that has ever existed. Anything good you see at the Olympics will be perfected in that next world. If you get any enjoyment from the Olympic sports then use those joys to help you think ahead and look forward with excitement to our future joys.